Say Goodbye to having bits of paper everywhere! BauBuddy declares war on paper. Nowadays, information that used to be written down on paper can be managed more easily and especially more safely. A structured communication between the office and the construction site daves time and moreover nerves. 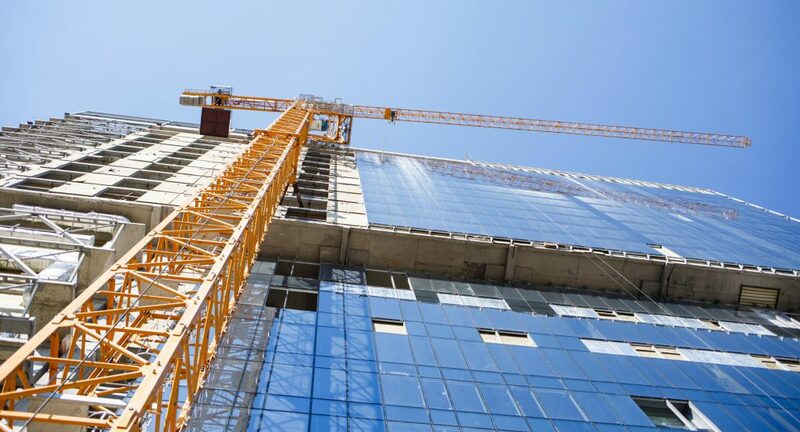 BauBuddy snaps out of missing timesheets, incomplete documentations and confusion on your construction site. BauBuddy offers you an overview of all your upcoming orders: Customer’s orders as well as internal orders. It can bedifferentiated between own, daily and future orders. Employees have the possibility to choose daily orders individually. Furthermore, the order list can be sorted by distance to the construction project. The documentation of your construction site takes place through photos with a title and further optional annotations or written documentation. 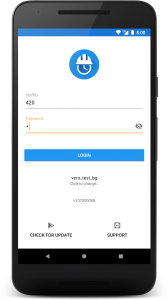 It is going to be sent with the timestamp and the related employee information to the server system and stored in relation with the respective project or workingOrder. You can also import images from your camera roll or share from other apps e.g. WhatsApp. The written documentation aims to enable the usage of self-defined text blocks. Alternatively, checklists or free text blocks can be used for the documentation of your construction site. The documentation is filed relevant to project and work order. 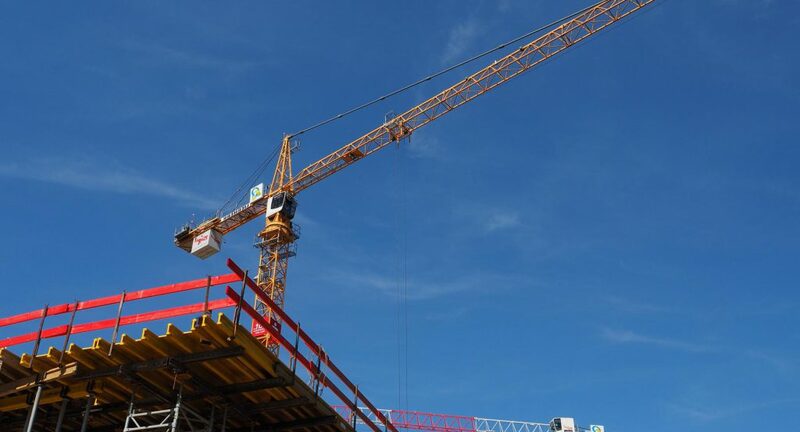 The documentation of your construction site can also be done when having no network connectivity (WLAN, 3G, LTE). All information are saved and as soon the network connectivity is reconstituted they are forwarded automatically. This enables a live controlling of every construction site. 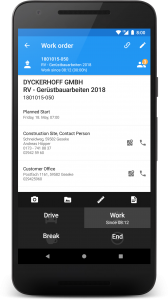 The work order related time tracking contains information about the adress, notes about operations and all contact details. With just a few clicks the time tracking can show the journey time, working time as well as pause time using the mobile time clock. Furthermore, it displays dynamically the work order related crew structure. Working time is checked on plausibility. In case, one forgot to track the time, this can be captured belated with a form. Like the documentation of your construction site also the time tracking is possibile if a gadget is offline. The time tracking overview provides an overview of all working hours. The total hours and the number of working days are listed. Pause times are also recorded. 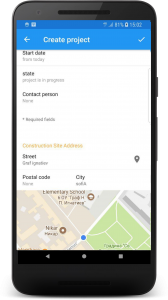 With the data collection function customer contact details can be added and with the help of Google adress details can be completed. Hence, the data is available at any time and any place. Also rojects can be caputred. 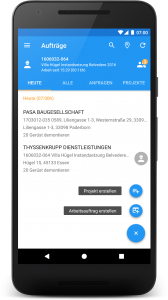 The app offers you the possibility to deposit significant project titles, to define planned execution time and to add important images and documents like drafts. BauBuddy has the function to capture and manage work orders. Each work order can be assigned to the referring project. All operations can be described and planning data can be deposited. Hence, a daily dispoal and the planning of crews is warranted. A depositation of a business evaluation is also possible. BauBuddy offers a brad authorization concept which allows you to turn on and off single buttons depending on the authorization. 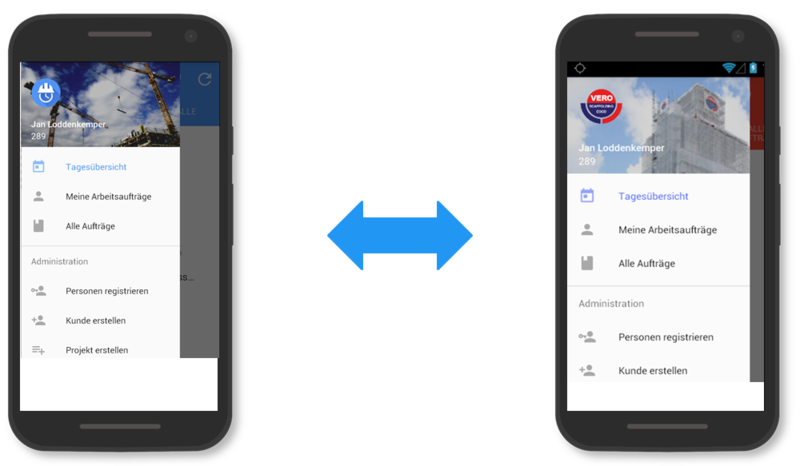 With that you can adjust the app perfectly to your campany’s hierarchy and internal work processes. 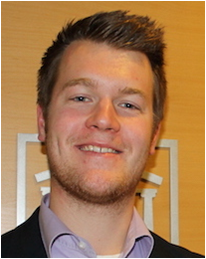 Furthermore, BauBuddy guarantees data security by executing daily backups and coding of information. BauBuddy can be customized to your company. Individual product adaptation to your company’s logo and design make the app appear in the colors of your company. The preliminary planning board enables you to plan daily, weekly and monthly operations. 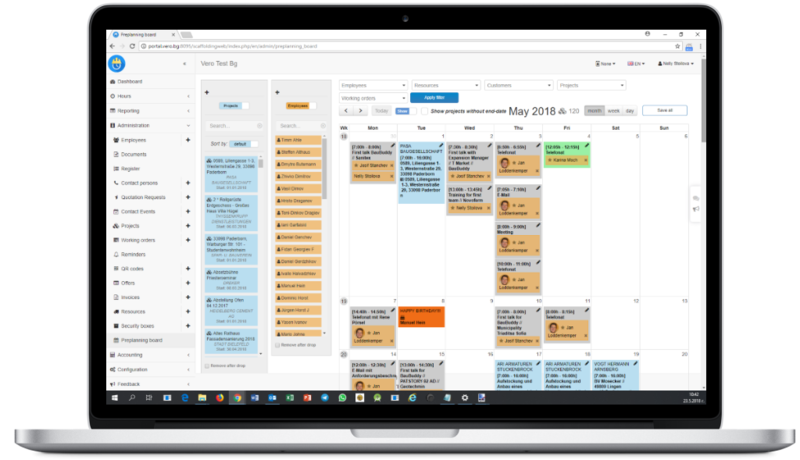 Per drag+drop you can easily organize your projects and employees. Furthermore, customer meetings or private meetings can be created and managed, also within the app. 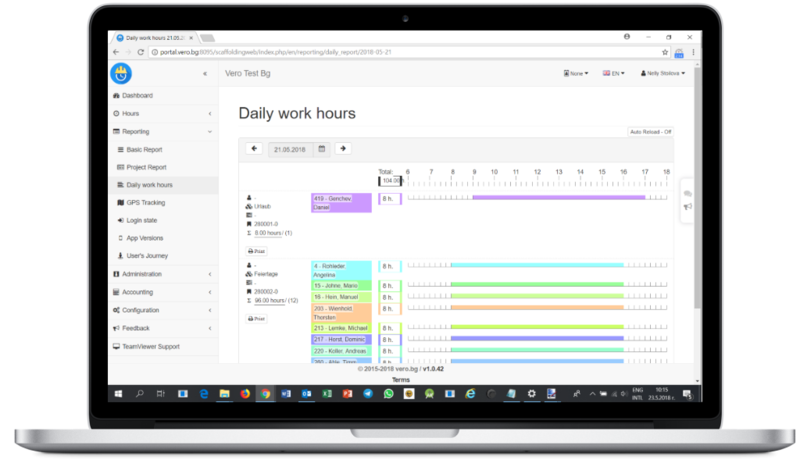 The report on daily working hours provides a real-time overview about working hours of your employees including projects and crew arrangement. Furthermore, the office can approve working hours at this point which will be available for the payroll accounting or further analysis afterwards. 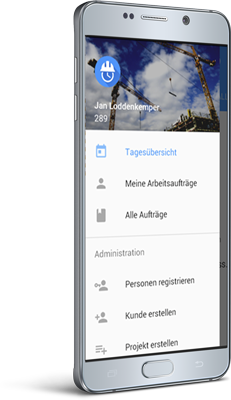 Besides BauBuddy, we offer you a trade-specific version of our app – perfectly adapted to your work environment and with trade related details. Do not miss the opportunity to attune your craft assistant even better to yourself. 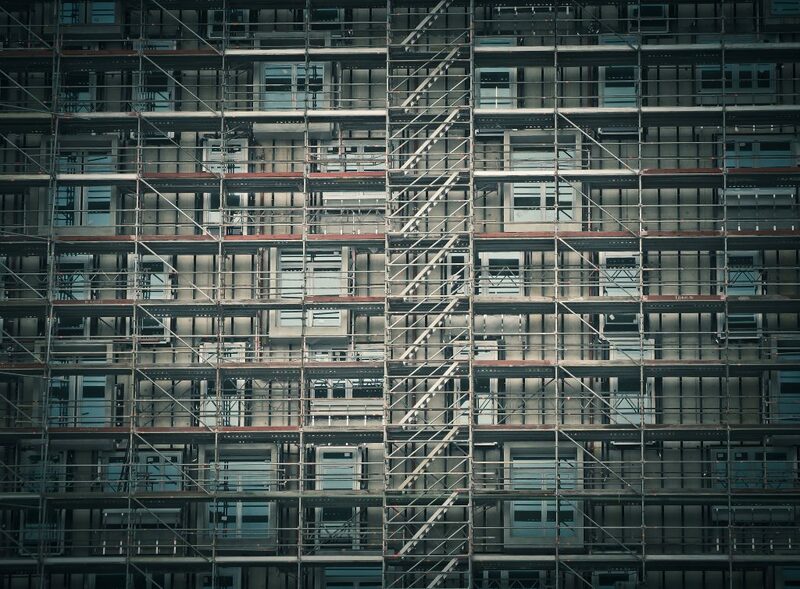 The Scaffolding App, your craft assistant adapted to conditions and work processes in the scaffold sector. 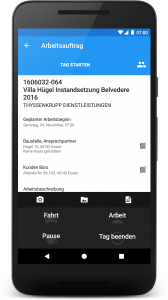 The Carpenter App, your craft assistant adapted to work processes of a carpenter. Test 60 days for free! Good news:You can keep on using the software you are presently using. BauBuddy loves to tread the path of integration. Your customer, project and employee data will remain the way they are and can be maintained as usual. BauBuddy just adds those function to your system which it lacked. 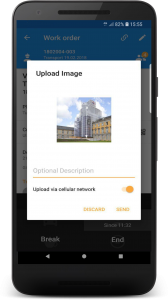 For example this can be the mobile documentation of your construction site with images and texts to existing projects or capturing customer demands. 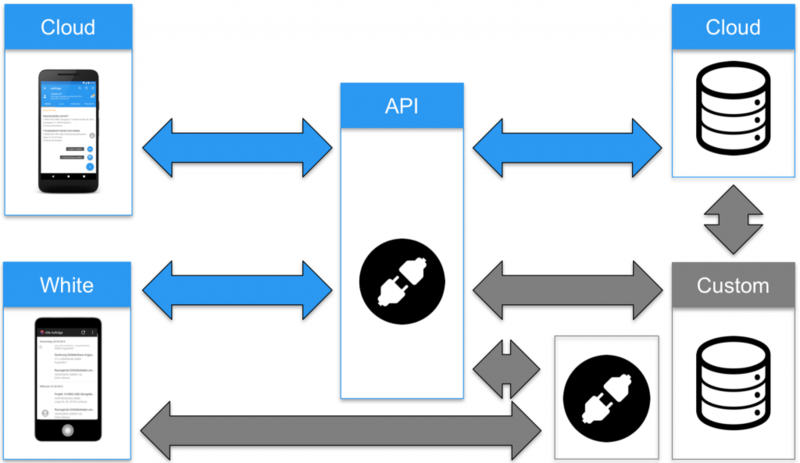 The flexible API (programming interface) in the middle of the graphic allows direct communication with databases of third parties or alternatively with other defined interfaces. Skilled employees integrate BauBuddy into your compandy-internal system – cost-efficiently, quickly and without any headache. We stay at your entire disposal for further questions.